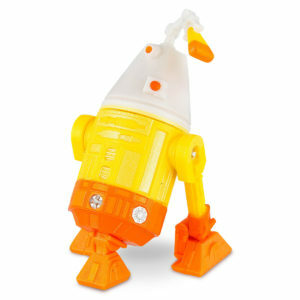 A new Disney Store Exclusive Elite Series Astromech has been revealed – look for R4-G9 in stores and online in January. The new Droidfactory set announced on Monday has started hitting Disney Springs! This set, featuring 4 astromechs (with some new tooling to boot) from Solo: A Star Wars Story, continues the tradition of issuing a new droid pack with each new film. This set includes R2-F1P, R5-232, R2-S8 and R5-PHT and retails for $29.99. Thanks to DarthChuckMc and @PirateLadyvader for the pic! 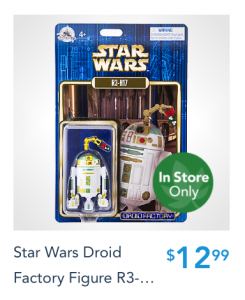 The new Droid Factory astromech R3-H17 is now listed on the Shop Disney Parks app, although it is current labeled as available for in-store purchase only. Update: You may want to give the app another shot as it is apparently letting app orders go through. Update 2: R3-H17 is now pulled from the app. Thanks to Steve W. for the update. Hot Toys has announced a few new 1:6 scale offerings for The Last Jedi: an all-new BB-8* with interchangeable arms, BB-9E*, a BB-8 with BB-9E set with bonus MSE droid*. Both BB units feature LED light effects. You can also see in the background the new First Order Stormtrooper from The Last Jedi is coming soon as well. Look for these to go up for preorder through Sideshow Collectibles soon. Update: All three options are now available for preorder at Sideshow Collectibles. 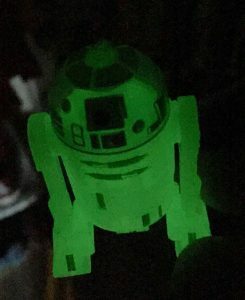 Our friend DarthChuck sent in this great photo showing off the glow-in-the-dark feature of the Disney Park exclusive Droid Factory R3-BOO17. Click the image above for a closer look and then click through for some loose images. 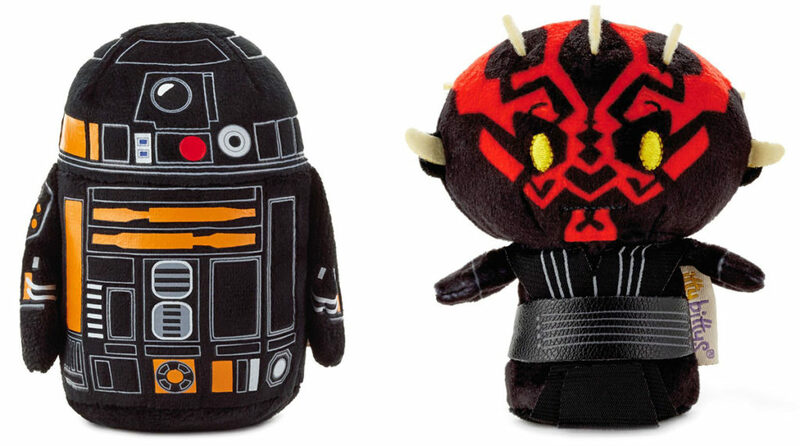 The insanely collectible Droid Factory program is about to expand in a huge way as several new products were revealed today by the Disney Parks team at Star Wars Celebration. Click on through for images of tomorrow’s launch of the Protocol Droids, several carded releases for the holidays and D23 PLUS the tease of a Sandcrawler with Power Droid Playset! We have another as-of-yet unannounced figure to share today. 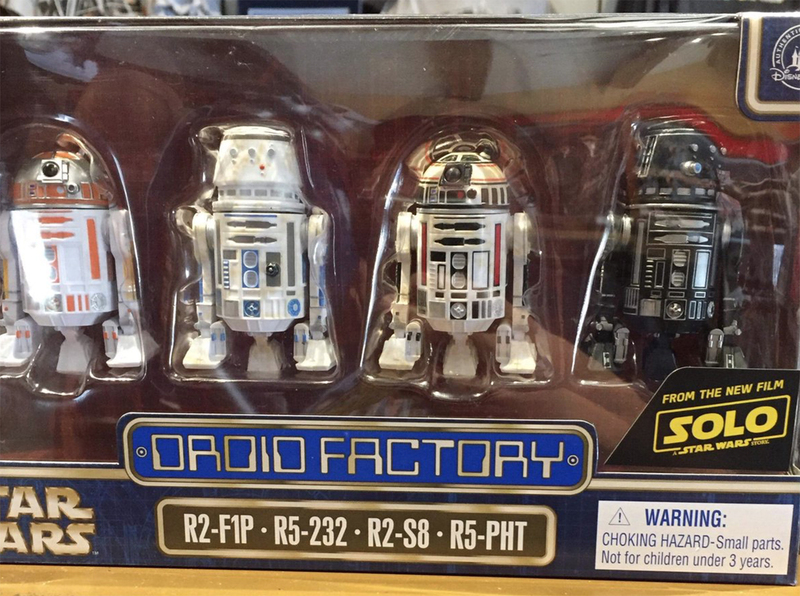 This image comes from our source that discovered those four disney droidfactory astromechs we revealed. 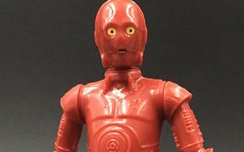 Details are scarce for this protocol droid other than it looks to be R-3PO. 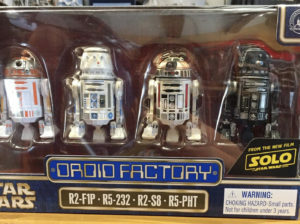 There is a theory that the build-a-droid/droidfactory program may expand to include protocol droids as there are a fair amount throughout the films to pull from. Click on through for a closer look.